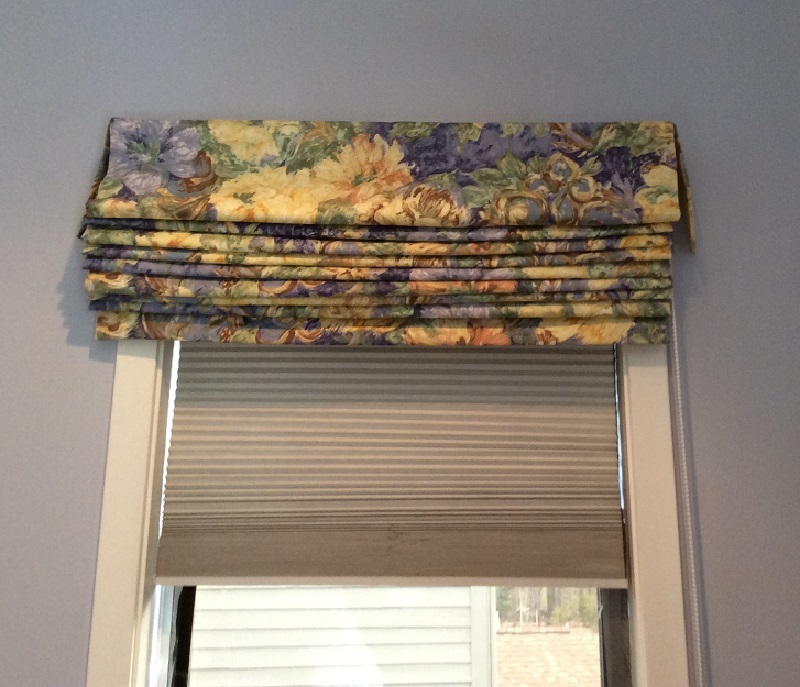 Roman Shades - Sew What Sew Anything - Sew What? Sew Anything! Roman Shades are making a comeback with some new, easy to assemble, and safe hardware. This blue floral fabric was a great choice for the soft blue paint color. The pleated blinds filter the light when the shade is up and are a nice complement to the roman shades.